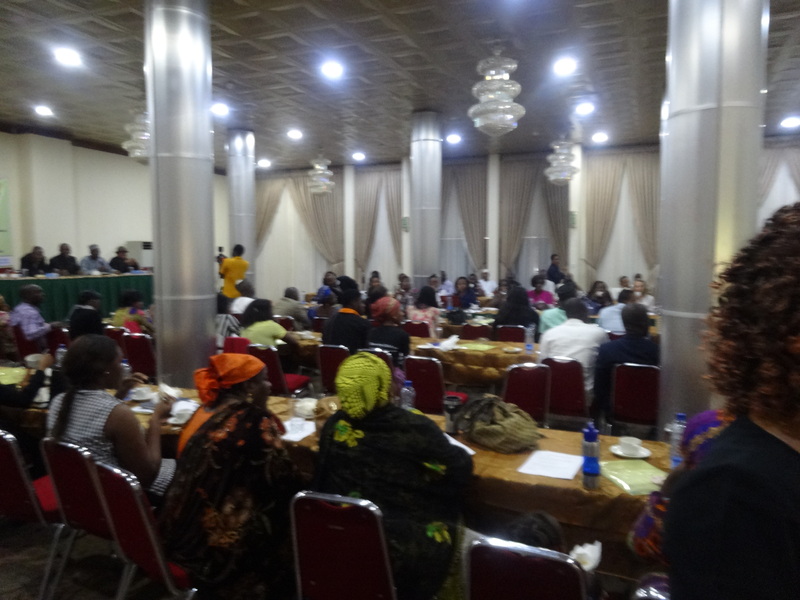 World Breastfeeding Week 2016 was celebrated in the Federal Capital Territory (FCT), Nigeria with a press briefing event that brought together representatives from different media outfits, including Nigeria Television Authority (NTA) and Vision FM, Ministry of Health, Ministry of Budget and Planning, National Agency for Food and Drug Administration and Control (NAFDAC), Save the Children International, SPRING, Society for Family Health, and other nongovernmental organizations, to sensitize the public on the importance of breastfeeding. 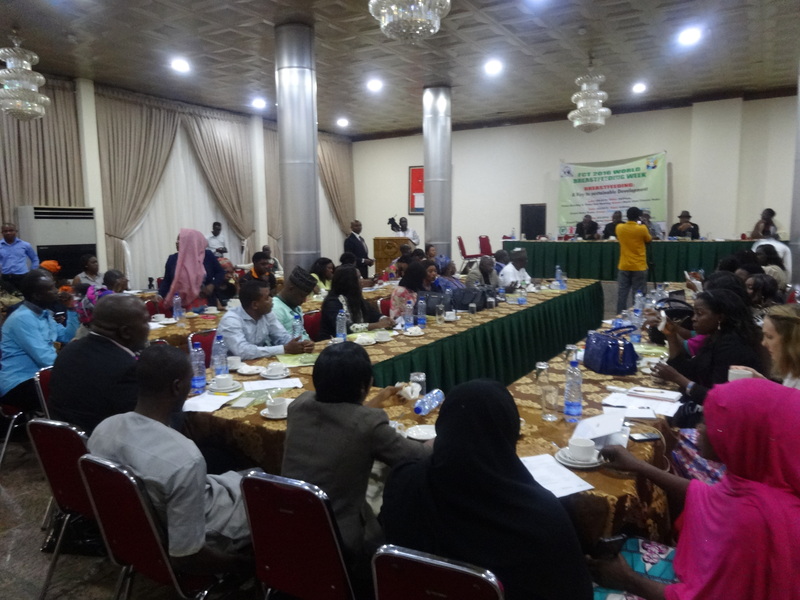 Organized by the FCT Primary Health Care Board, this press briefing allowed representatives to use various media outlets to reach the general public with specific messaging, and gave participants a forum to ask questions related to breastfeeding challenges. 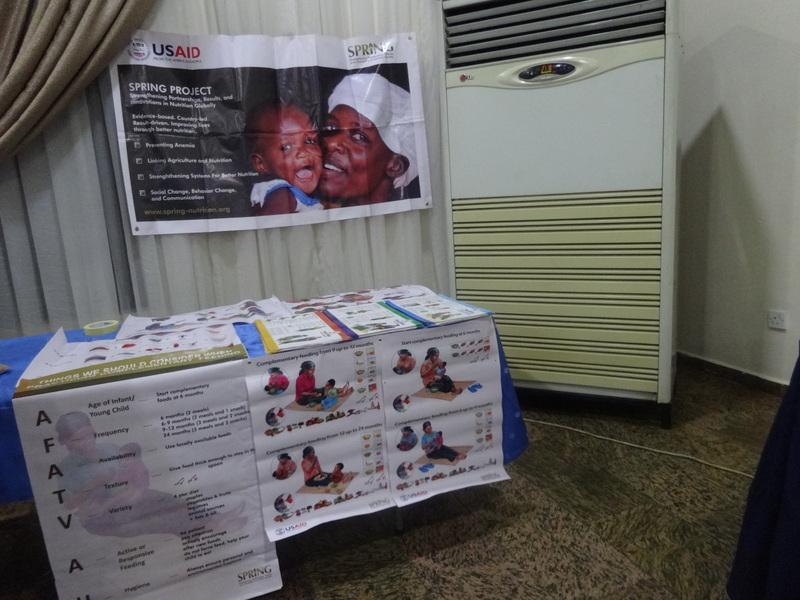 SPRING put together a booth and distributed fliers with breastfeeding messaging to media outlets and other attendees. Mrs. 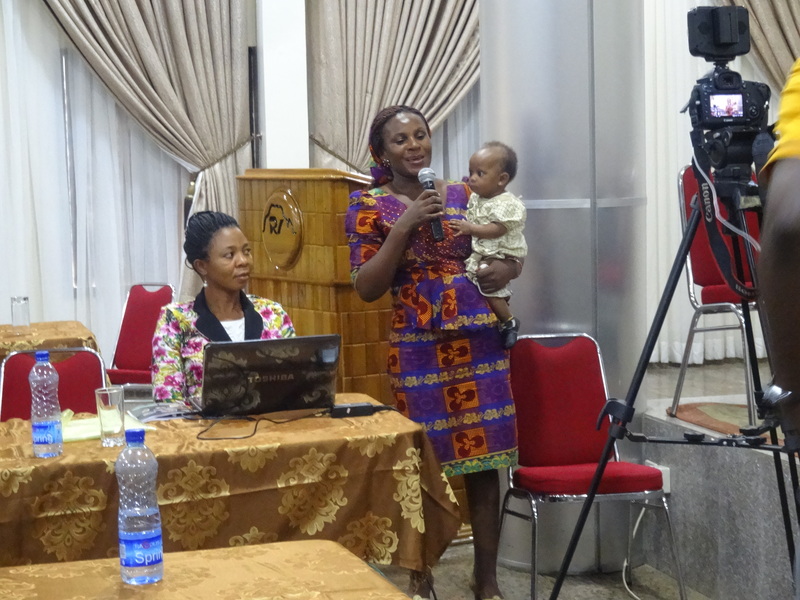 Faith Ishaya, SPRING’s Nutrition Coordinator for FCT, provided a goodwill message, stressing the importance of exclusive breastfeeding for six months and highlighting SPRING’s work with partners to reach and establish infant and young child feeding support groups in remote communities in FCT. Mrs. Roseline Gabriel, Deputy Director Budget and Planning in FCT gave another goodwill message, stressing the need to disseminate information on breastfeeding to the public to promote breastfeeding and reduce or eliminate the use of Breastmilk Substitute, and encouraged the health care system in Nigeria to ensure exclusive breastfeeding is practiced. World Breastfeeding Week is celebrated annually every first week of August in over 170 countries of the world. 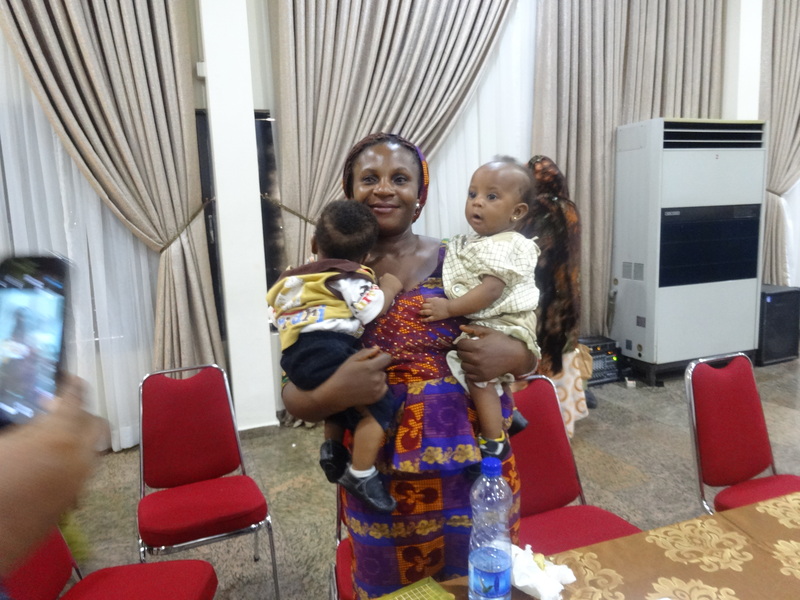 The week is usually celebrated with various activities to sensitize the general public and promote breastfeeding, and has proven to be the greatest outreach vehicle to protect, promote, and support breastfeeding. 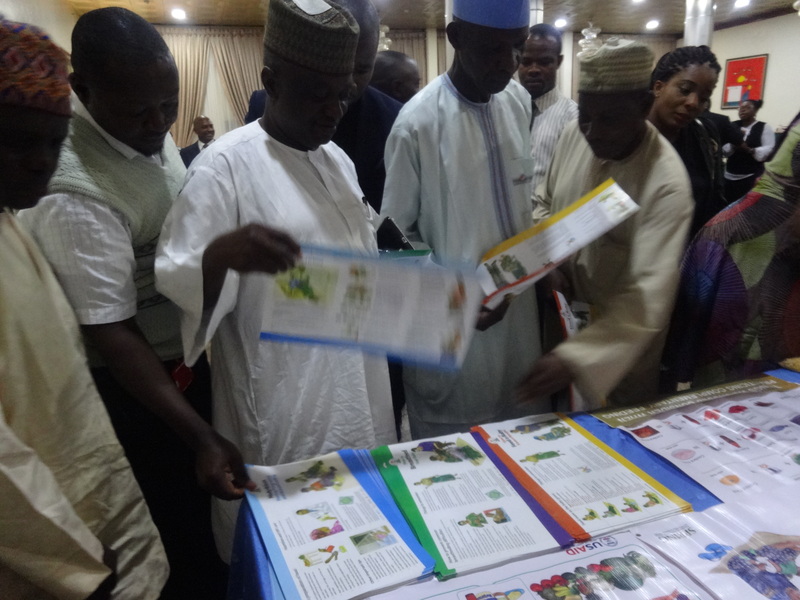 Other activities that mark the week included a Grand Baby Show, and a breastfeeding walk on the streets of Abuja, wearing T-shirts that carried breastfeeding messages to the public.